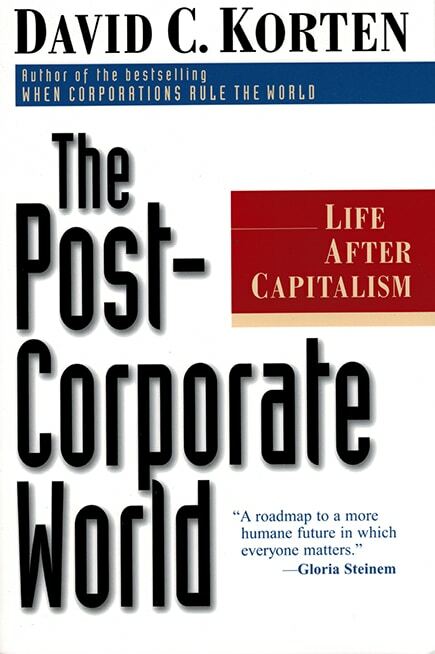 As published in Business Ethics, January/February 1999. The capitalist economy has a potentially fatal ignorance of two subjects. One is the nature of money. The other is the nature of life. This ignorance leads us to trade away life for money, which is a bad bargain indeed. The real nature of money is obscured by the vocabulary of finance, which is doublespeak. We use the term “investors” for speculators, whose gambling destabilizes global financial markets. We use the terms “money,” “capital,” “assets,” and “wealth” interchangeably–leaving no simple means to differentiate money from real wealth. Money is a number. Real wealth is in food, fertile land, buildings, or other things that sustain us. Lacking language to see this difference, we accept the speculators’ claim to “create wealth,” when they expropriate it. If in the 1980s we witnessed capitalism’s triumph over communism, in the new millennium we may witness capitalism’s triumph over life. For in the vocabulary of capitalism, the destruction of life to make money is progress. 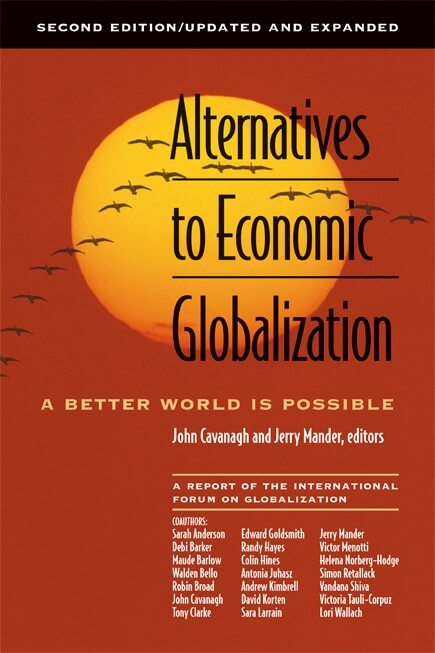 When a defender of global capitalism asks, “What is your alternative? 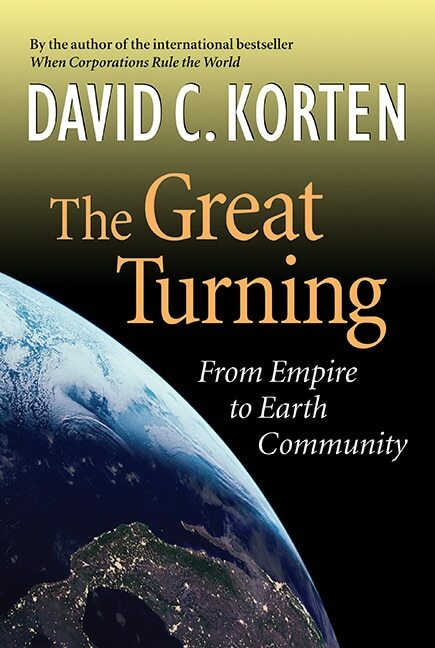 We’ve seen that central planning doesn’t work,” one can respond, “Adam Smith had a good idea. I favor a real market economy not centrally planned by governments or corporations.” The vital distinction here is between the market economy Adam Smith had in mind, and the capitalist economy, which he would have abhorred. In a healthy market economy, enterprises are human-scale and predominantly locally owned. People bring human sensibilities to bear on every aspect of economic life–resulting in self-organizing societies that maximize human freedom and minimize the need for coercive central control. Capitalism, by contrast, is about using money to make money for people who have more than they need. It breeds inequality. Though capitalism cloaks itself in the rhetoric of democracy, it is dedicated to the elitist principle that sovereignty resides in property rather than in the person. 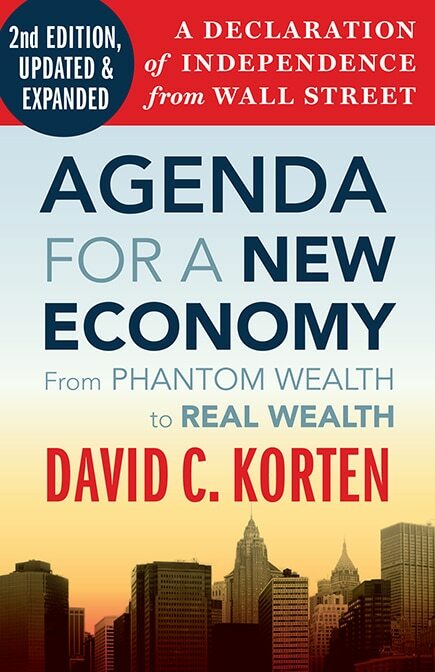 A real market economy creates real wealth. 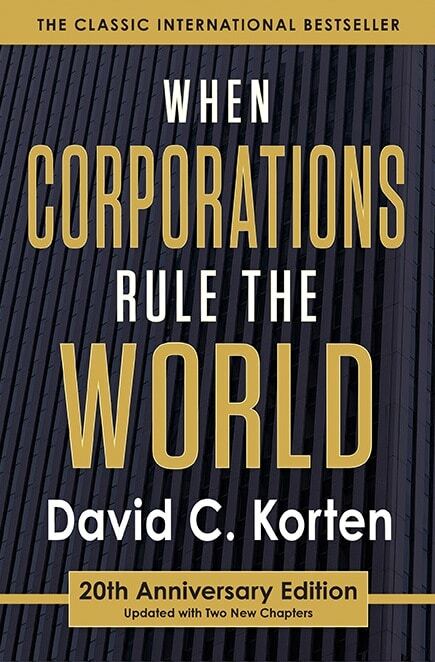 Global capitalism creates out-of-control speculation, which destroys real wealth. It depletes natural capital by strip-mining minerals, forests, and fisheries, and by dumping hazardous wastes that turn productive land and water into zones of death. It depletes human capital through substandard working conditions, as in the Mexican maquiladoras, where vital young women emerge after a few years with failed eyesight, allergies, and repetitive stress injuries that leave them permanency handicapped. It depletes social capital by uprooting factories on which communities depend–leaving society to absorb the family breakdown and violence that result. It depletes institutional capital by taking tax dollars through public subsidies and tax exemptions, and real wealth by weakening environmental standards essential to long-term societal health. Living capital, which has the special capacity to regenerate itself, is the source of all real wealth. To destroy it for money–a number with no intrinsic value–is an act of collective insanity. A real-world example of this insanity is the 1997 Asian financial crisis, in which a so-called “financial miracle” became a meltdown. That meltdown began in Thailand and spread through Malaysia, Indonesia, South Korea, and Hong Kong, as economies fell like dominoes. While specifics differed, the experience of Thailand reveals the underlying pattern. During the “economic miracle” phase, large inflows of foreign money fueled rapidly growing financial bubbles in stock and real estate prices. (When too much money chases too few assets, those assets artificially “inflate” in price.) Those inflated bubbles attracted still more money, much of it from international banks eager to make loans to speculators, who secured loans with the inflated assets. As foreign currency poured in, consumers had the wherewithal to purchase imported goods, sales of which skyrocketed–creating the illusion of a booming economy. Buying rapidly appreciating stocks or real estate seemed, for a time, a better deal than making productive investments in industry or agriculture. Ironically, the f aster foreign inv vestment flowed in, the more investments were sucked away from industry and agriculture and production stagnated or declined in both. Foreign financial obligations thus rose, while the capacity to repay those obligations fell. Once the speculators realized this was not sustainable, the meltdown began. Speculators pulled money out in anticipation of a crash, stock and real estate prices plummeted, and banks were left with uncollectable loans–creating a liquidity crisis. Capitalism can thus create an illusion of prosperity, even as it sets the stage for economic collapse. Lest we think this a rare example, we might note that since 1980, according to a McKinsey study, the financial assets of the world’s largest economies have been growing attwo to three times the rate of growth in gross domestic product (GDP). Bubbles are everywhere. And it is in the nature of bubbles to pop because trading away life for money is not, in the long run, sustainable. Here’s hoping we learn this lesson more gently than Asian economies have, but learn it we will. Squandering real wealth in the pursuit of numbers is ignorance of the worst kind. The potentially fatal kind. 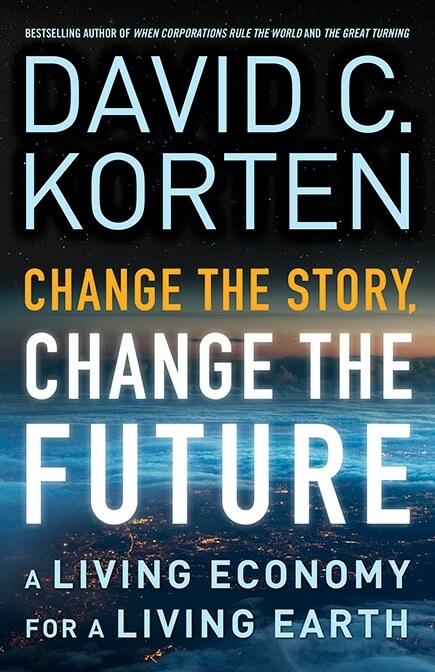 David Korten is the author of When Corporations Rule the World, and The Post Corporate World: Life After Capitalism.